More Microbes! « What. No Mints? I do science and sew things. 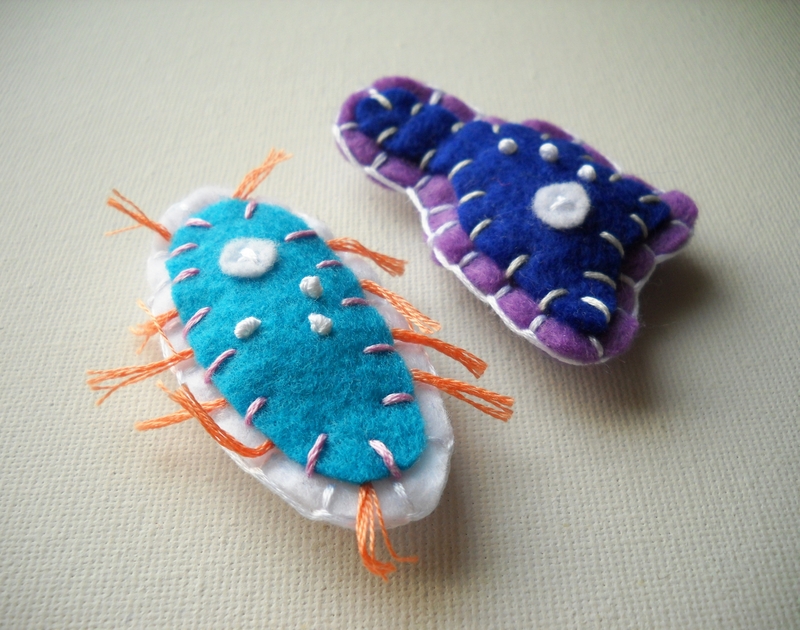 These eco-friendly microbes would totally be the perfect gag gift or make a fun little stocking stuffer for that science nerd you know – I have them in magnet, brooch and keychain forms! They will be making appearances in the shop throughout the week. 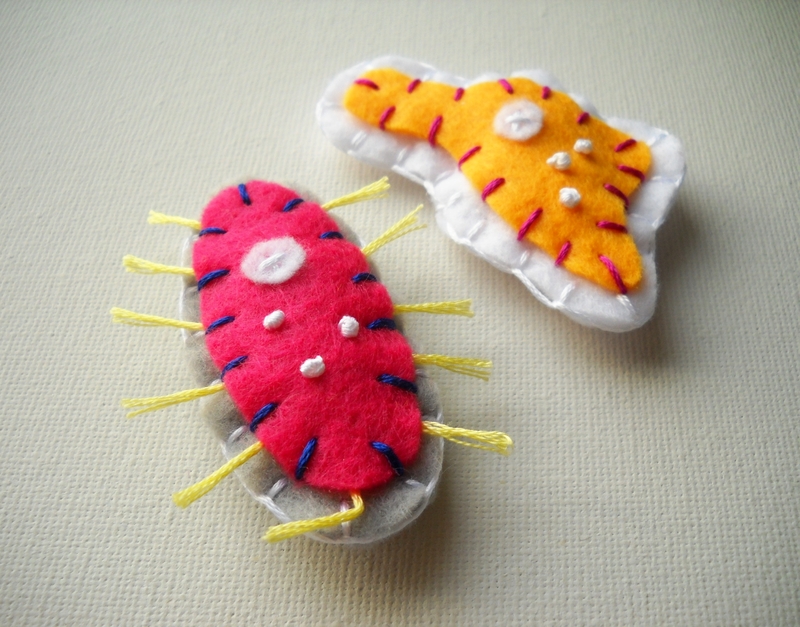 This entry was posted in geeky, handmade, new items and tagged amoeba, biology, brooch, etsy, geeky, handmade, keychain, magnet, microbiology, nerdy, paramecium, science. Bookmark the permalink. 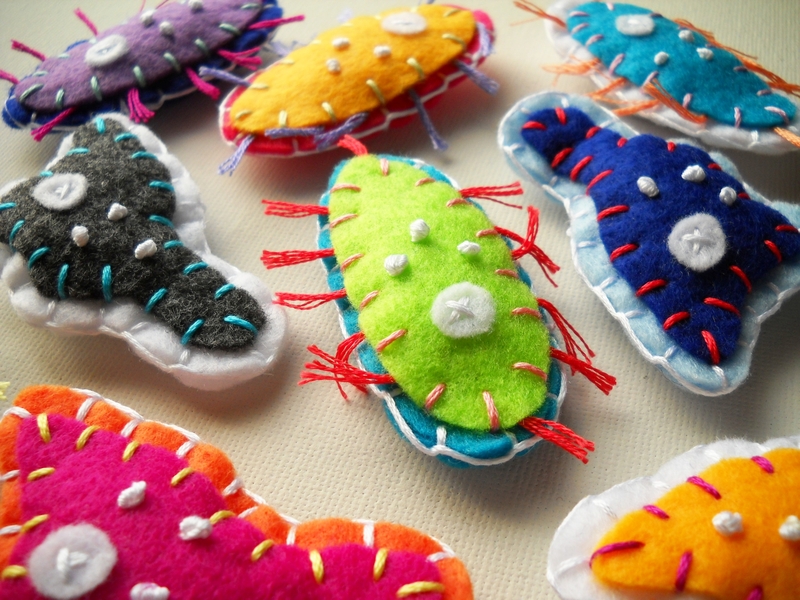 Wow, who knew microbes could be cute and lovable? I love your felt versions of these guys. They sort of remind me of the plushy microbes I’ve seen before (i love the fuzzy beer yeast plushy…). By the way, glad to know that your camera turned up–been there, done that.